Eliminating the shower curb may sound dicey at best, but our homeowners wanted the ease of access in both their shower and tub. Using the Schluter system and some other proprietary tricks of the trade, we pulled this barrier free shower off without any major setbacks. Accessibility was the name of the game with this design challenge. It was specified from day one that it still had to appeal to the masses and not be over the top with grab bars, etc. 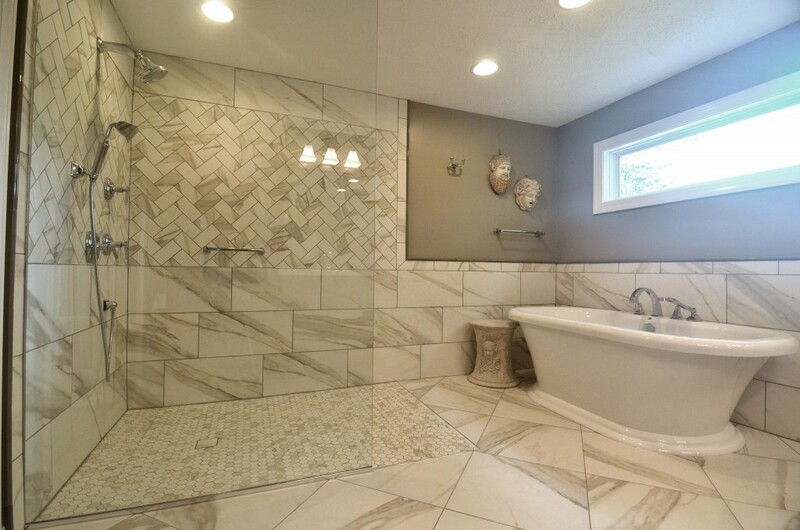 Our selections are classy and the patterns used in the tile layout really make this one of a kind space hold its own. The premium fixtures used will last a lifetime. Next Level Remodeling is very proud to present our Homeowners with the very special bathroom. They are thrilled and continuously let us know of the great impact it has made on their lives.